A Slice of Life from Favorite Family Recipes. This is a story about hope, courage, inspiration, patience and cake batter. A lot of cake batter. 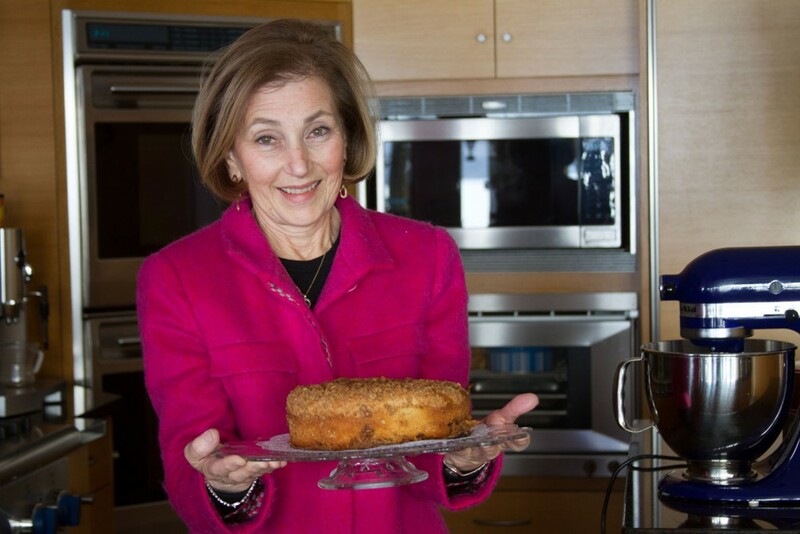 It’s a story that begins in Jane Imerman’s kitchen in Bloomfield Township where her passion for baking and healthy food collided with the reality of cancer. 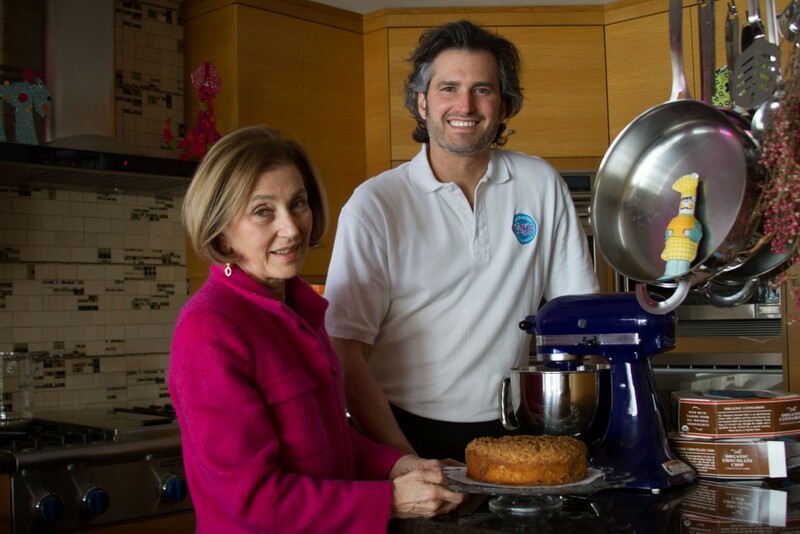 At home in the kitchen, mother-son duo, Jane and Jeff Imerman. Jane always had been a firm believer that the purest foods are the healthiest. But years after her youngest son, Jonny, was diagnosed with testicular cancer at the age of 26, Jane has taken health-conscious cooking and baking to a whole new level, learning everything she could about organic food and developing her own recipes. 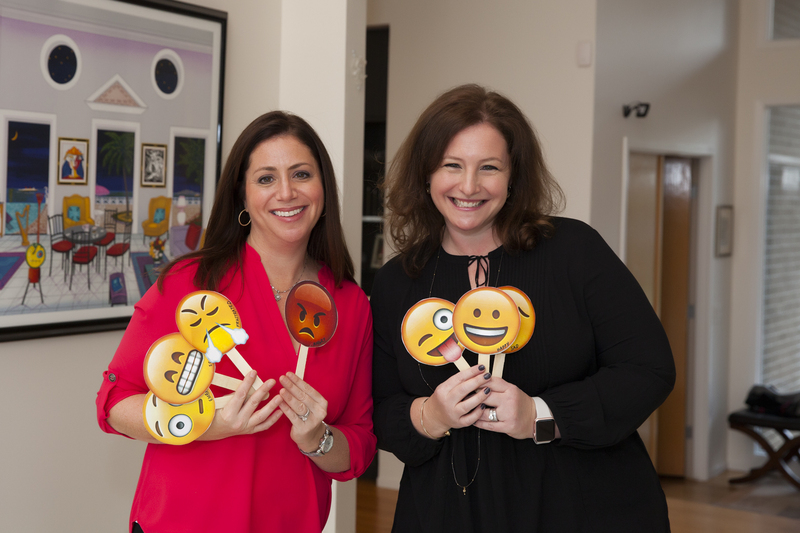 Jonny regained his health, turned his energies to advocacy and, in 2006, founded Imerman Angels, a worldwide cancer-support organization, based in Chicago, with the mission to provide one-on-one connections among cancer fighters, survivors and caregivers. Jonny had Angels. Jane had recipes. Jeffrey Imerman, Jane’s oldest son, had the vision to start Imerman Cake Company. Why not? 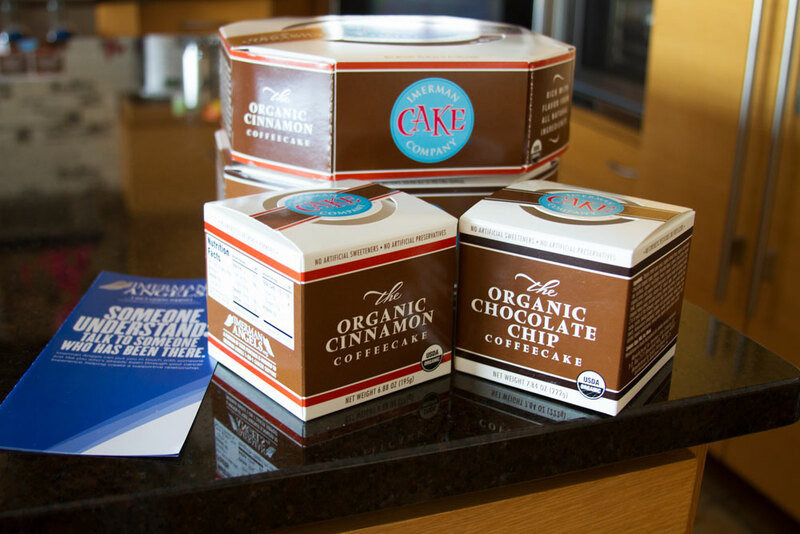 Market Jane’s delicious organic coffee cakes and share them with the world, then donate a portion of each sale to Imerman Angels. A former TV anchor/reporter, Jeff was practicing law at a big firm in New York City when he had the notion to change the course of his life, leave his job, return to Detroit and partner with Jane to create Imerman Cake Company. Jeff: I wrote a 50-page business plan, inspired by my brother’s fight against cancer. After he survived, we did a lot of food research and learned more about what we are putting into our bodies and how that affects our health and well-being. We learned about organic foods and the benefits of eating organic. Jane: . . . and we didn’t find any organic desserts in the marketplace. Jeff: I knew we could create something in our local community that we could be very proud of. So we started in my mom’s home kitchen, took a cake recipe that she had made since our childhood . . . and we streamlined it to make it even more pure and organic. Jane: We spent a lot of hours baking, taste-testing and tweaking the recipes . . . one cake at a time. As many as eight cakes a day. We spent about a year. Getting the cake just right, with new recipes to come. Jeff: Using all organic ingredients, gram by gram, we took out as much as we could to lower the sugar, cut the fat and reduce the calories to make the cake as lean as possible . . . without sacrificing the flavor. Jane: We took out the nuts too because of all the nut allergies. For instance, in the cinnamon cake, we now use toasted rolled oats instead of the original walnuts. We also switched to a Neufchatel cheese from a cream cheese to lower the calories. Jeff: But we knew the one constant was quality, and the bottom line was the taste. That couldn’t change. 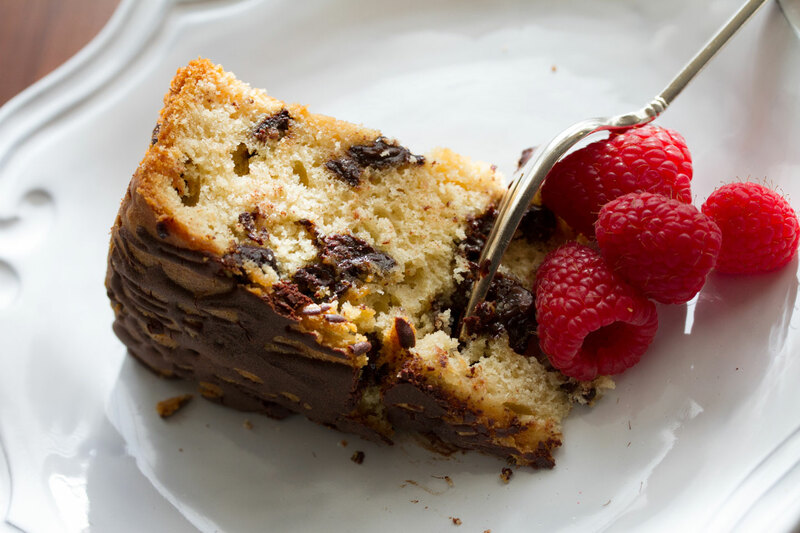 Three years in the making, Imerman Cakes are on grocery shelves in high-end markets in Detroit and Chicago, in both cinnamon and chocolate chip flavors, available in a two-pound size and a mini half-pound size. The cakes are still hand-mixed, one at a time, but because they carry the USDA Organic seal, production has moved out of the Imerman household to the Achatz Handmade Pie Company, a certified organic facility which is also a local family-owned business. Imerman variety: even the packaging is eco-friendly. New recipes are in the mix, new flavors and sizes are on the way. And the criteria for the ingredients remain strictly organic: free from artificial preservatives and sweeteners, high fructose corn syrup and genetically engineered ingredients. No ingredients come from crops exposed to harmful pesticides or fertilizers, and the dairy products come from animals that have not been given antibiotics or growth hormones. Imerman Cake: pure, organic yum. Proof? Take a slice of Imerman Cake, warm it in the microwave or oven, top it with scoop of ice cream (or berries). And enjoy. An organic Valentine. The Man Behind the Legacy.